We've seen more of the union jack flying around the country in the past few weeks than in all the time I've lived here. Just one more day before we know its fate. I hope that all ends for the best. I'm anxious to hear how the vote goes! 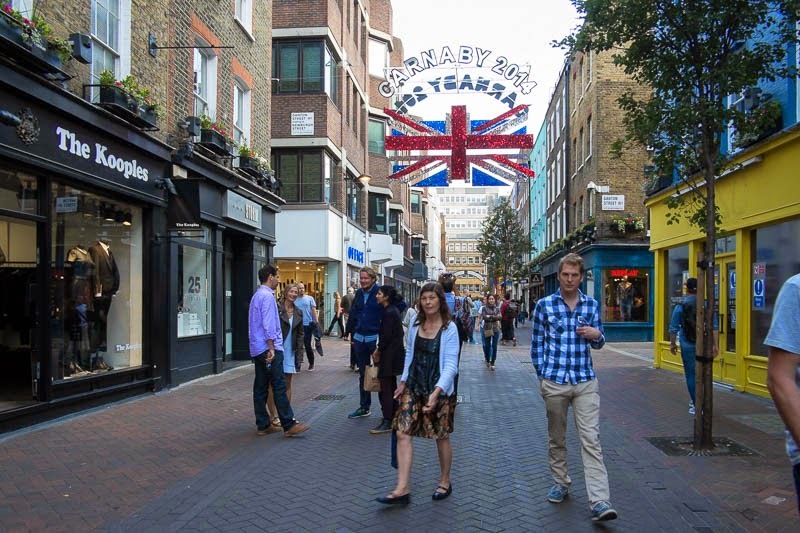 It'll always be the flag of Carnaby Street! I hope the no side of things comes out on top. In the USA, we fly the flag much more often, but flag flying increases when there is either something to cheer or to mourn. September 11 prompted a very heavy showing of the flag, which has not slowed yet. Good luck to the UK in tomorrow's vote.